Beacham, Laurel Beacham…she continues to fulfill her responsibilities with the Beacham Foundation joined by a small close knit team, and the new ‘base of operations' (since the last one was compromised) is fitted with high tech gizmos, but a Chinese restaurant on the bottom floor? Protecting art has been paramount, but the mission scope has broaden beyond rescuing stolen masterpieces into thwarting the art heists themselves. This larger mission has become problematic since the master criminals have been elusive and deadly. After inadvertently locating a missing Caravaggio masterpiece, Laurel sets to retrieve it, but it sets into motion dangerous consequences: kidnapping attempts, gunfights, and a mugging to name a few, and discovering there may be not one, not two, but three masterminds puts Laurel increasingly on her own and once again in the cross-hairs not knowing who can be trusted. Ritter Ames once again starts us off with a riveting intro…keeping me turning the page and ‘under my breath’ hoping Laurel gets out of this safely. The plot is a continuation of an intricately planned story weaving through the series of now four books. Fans have been treated to an action-packed, "twisty-turnsy" world-wide adventure with new and exciting revelations and characters evolving in their skill and interpersonal relationships. 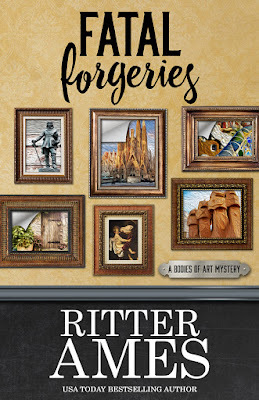 “Fatal Forgeries” does not disappoint, in fact, may be the best one yet! There are some respites from the non-stop action, but even an engagement tea with a college chum isn’t without problems. Along with the ‘goods and the bads’ of the art world references to actual artists and their work puts Google on ‘speed dial’…Caravaggio, for example, was an interesting side adventure. Newbies need to know going in there will be a few spoilers. Although there are enough explanations to join in with the adventure, I still highly recommend starting at the beginning with “Counterfeit Conspiracies” to get the necessary background, character development, and engaging experience… But anywhere you start this series, Ritter Ames has created a great series. Perfect for your summer reading! Fatal Forgeries earns 5/5 Mysterious Family Photos! Bodies of Art Mystery series earns 5+/5 Stolen Masterpieces! Beacham, Ltd, had at first been a Foundation founded by Laurel’s grandfather helping to link museums with artistic organizations matching ones with funds to ones needing funds. But, through circumstances, the Foundation took on a more ‘recovery’ role improving the success of recovering artwork by bypassing excessive ransoms making them very popular with insurance companies and museum heads. 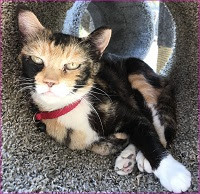 Ritter Ames has brought marvelous adventures reminiscent of White Collar for the artistic intrigue, but move over James Bond…Laurel can “kick it” too! 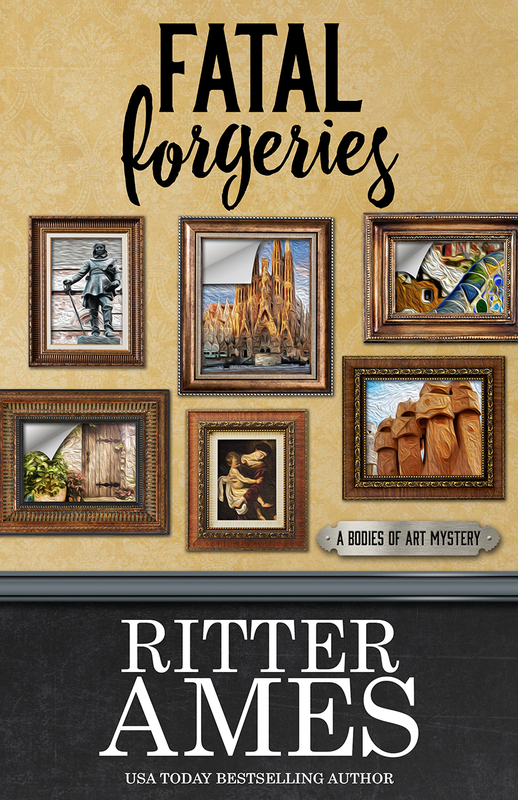 To enter to win a signed copy of Fatal Forgeries or an ebook copy, simply email KRL at krlcontests@gmail[dot]com by replacing the [dot] with a period, and with the subject line “forgeries,” or comment on this article. A winner will be chosen July 22, 2017. U.S. residents only for print copy. If entering via email please included your mailing address and whether you want ebook or print. Sounds like a fantastic series I can't wait to read it. I would love to win a copy of the book. Thanks for the chance. Print copy please. I love this series, thanks for an informative review & chance to win this new book in the series. New series to me. Enjoyed the synopsis of the book and the review. Can't wait to read. Looks like a can't put down book.